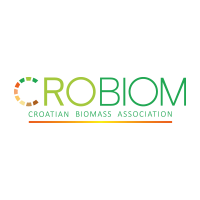 CROBIOM, one of the leading associations in Croatia, has a very active role in defining energy policies, particularly about renewable energy sources and biomass, ie energy from wood. CROBIOM initiated numerous campaigns, aiming at maximizing use of RES on the domestic market and promoting its social and environmental benefits. AEBIOM identified key aspects that became a positive basis for the policy of reducing greenhouse gases for all forms of bioenergy and had a significant impact on development of RES in Croatia, as well as in the SEE countries. Thanks to the lobbying in this sectoral organisation, Croatian companies witnessed many direct benefits.